Shoppers boycott Ivanka Trump’s clothing line to protest Donald’s misogyny. Can Ivanka Trump distance her brand’s message from her father’s campaign rhetoric? 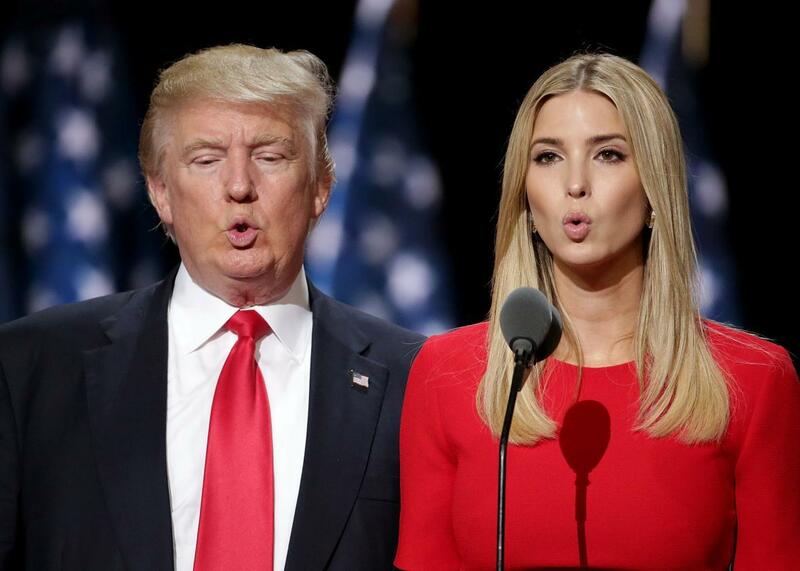 Throughout a presidential campaign defined by misogyny and prejudice, Donald Trump’s oldest daughter, Ivanka Trump, has remained steadfastly by his side. As her father repeatedly made sexist remarks against women, she positioned herself as an advocate of women’s rights, championing the cause of working mothers. Now one San Francisco woman is holding Ivanka to account. Shannon Coulter, the CEO of a communications agency, has called for a boycott of Ivanka’s fashion line, the Ivanka Trump Collection, and she’s asking retailers who carry her products to break ties. Under the hashtag #GrabYourWallet—a reference to Trump’s infamous remarks in leaked Access Hollywood footage from 2005—Coulter’s movement has gone viral. Coulter’s Twitter account, which has more than 16,000 followers, contains a pinned tweet linking to a spreadsheet that features a list of retailers still selling Ivanka Trump brand products, including Dillard’s, Bloomingdale’s, Macy’s, Nordstrom, and Neiman Marcus. Coulter provides phone numbers for the companies, encouraging followers to call the stores to protest. Coulter told the Guardian that she was inspired to launch the boycott after the Washington Post leaked footage in which Trump made disparaging comments about women and joked about sexual assault, prompting Trump to both apologize and dismiss the comments as “locker room talk.” After the leak, Ivanka initially remained silent, but she later made a statement to Fast Company acknowledging her father’s wrongdoing while praising him for apologizing: “My father’s comments were clearly inappropriate and offensive and I’m glad that he acknowledged this fact with an immediate apology to my family and the American people,” she said. “If Ivanka Trump had distanced herself from the campaign I would not be boycotting her. But something changed for me when that tape was released,” Coulter told the Guardian. Last week, Ivanka Trump told the New Yorker that she has “always tried to maintain complete separation” between her brand and her father’s presidential campaign. It looks like that ship has sailed.